Many of you are probably familiar with conservation easements. For those of you who are not, it’s pretty simple. 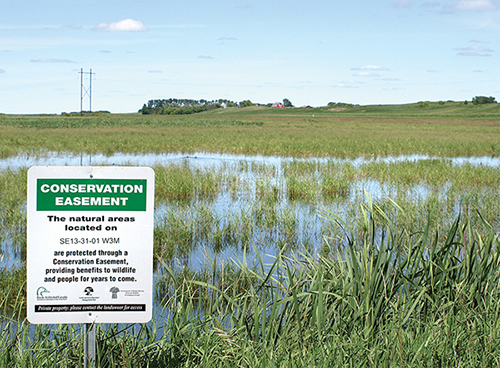 Conservation easements protect land for future generations. A landowner voluntarily agrees to sell or donate certain rights associated with his or her property – often the right to subdivide or develop – and a private organization or public agency agrees to hold the right to enforce the landowner's promise not to exercise those rights. The idea seems like the perfect marriage of environmentalism and capitalism: Landowners give up their right to develop a piece of their property, and in exchange they receive a special tax deduction. Nature is preserved and everybody benefits. So what’s the downside? If done properly and honestly, there is no downside! Land is protected, and landowners receive a deduction for the donation of their land. Win-win. However, the tax deduction received is based on how much the land is worth. And that’s where things can get tricky. A growing number of recent easement donations are motivated by a more commercial reward — an oversized tax deduction for wealthy investors. Known as “syndications” (or “syndicated partnerships,”), they’re deals arranged by middlemen with the goal of big payoffs for all of the participants, many of whom have never visited the land in question. I know this sounds confusing, so let me explain with an example: the former Millstone Golf Course outside of Greenville, South Carolina closed back in 2006, it sat vacant for nearly a decade. In 2015, the owner put the property up for sale, asking $5.8 million. When there were no takers, he cut the price to $5.4 million in 2016. Later in 2016, a pair of promoters appeared. They collected investors who purchased the land at the market price and, with the help of a private appraiser, declared it to be worth $41 million, nearly eight times its purchase price. Why? Because with that new valuation and a bit of paperwork, the investors were suddenly able to claim a tax deduction of $4 for each $1 they invested. Such transactions are growing today, transforming an incentive for charitable gifts into a handout for the wealthy looking to save big on their taxes. This arrangement takes advantage of a system that was put in place to protect land and prevent it from being developed, drilled, bull dozed, and destroyed. Abuse of the conservation easement deduction reduces tax revenue, raises the appearance of unfairness and inequity in the tax system, hinders conservation goals, and causes a disproportionate amount of IRS enforcement and taxpayer burden. Conservation easements need to be about protecting land, not the wealthy.